Haverhill, MA - once a centre for local shoe manufacturing. Now turning into a fashionable Boston suburb with its own commuter rail station. Haverhill is the home town of Pete, husband of my cousin, and he brought me to his favourite place to eat, the A1 Deli. 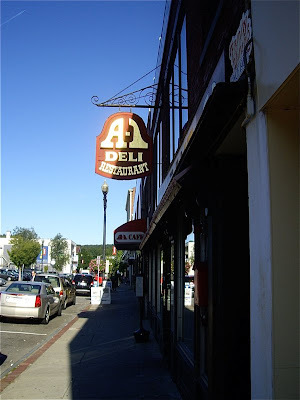 The A1 Deli is located in downtown Haverhill. This is a place where my cousin and her husband love to go and dine. 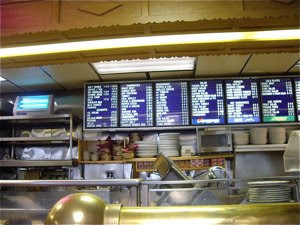 A huge menu at low prices - and what food! I have visited a great number of American diners, and I have rarely left disappointed. Large portions of decent honest food. Large truckers breakfasts with bacon, eggs, roasted potatoes, pancakes and maple syrup. Hamburgers made from real meat with delicious french fries. Generous sandwiches with potato chips. The A1 Deli is run by a Greek family, and Pete told me that they work around the clock in the restaurant. I was struck by the enormous menu. Sandwiches with corned beef, tuna melt, turkey or veal cutlet priced from $4-8, Caesar, BLT, Roastbeef, sliced Turkey salads within the same price range. Traditional dinners as veal cutlets, lamb kebabs, and chicken breasts to around the $10 mark. What to choose. I struggled with a very substantial lunch that I enjoyed at Le Bec Rouge in Hampton Beach 5 hours earlier. 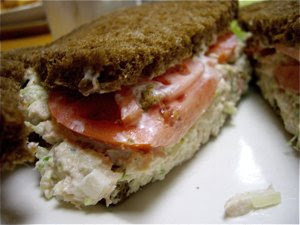 I chose a sandwich with a very generous amount of tuna salad made from tuna, mayonnaise, and raw onions, served on rye with tomatoes and cornichons for $5,95 and it was made right in front of you. 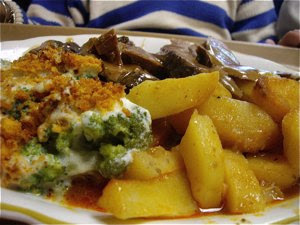 My cousin chose a roast with fried potatoes, gravy and a delicious stewed broccoli. The broccoli had been stewed in a white sauce with, what my cousin assumed, feta cheese and cracker crumbs on top. 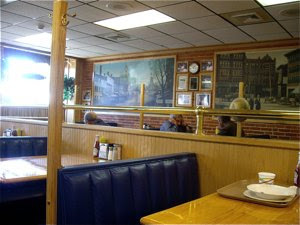 It is so great to see that these traditional diners still survive through all modern trends, and that Peter can return to his hometown and enjoy his ultimate comfort food. I certainly enjoyed the meal at A1 Deli, and recommend a visit if you drive through Haverhill. It does not cost very much either. To get a generous meal and a beer for around $15 is a rare experience in Europe.